Fiber optics refers to the technology of transmitting light down thin strands of highly transparent optical fibers, usually glass but sometimes plastic. 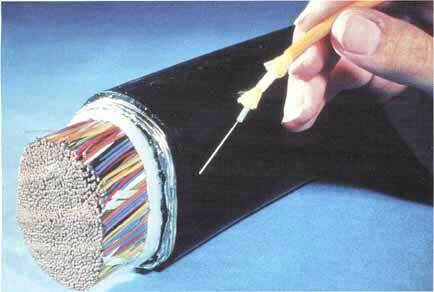 Fiber optics is used in communications, lighting, medicine, optical inspections and to make sensors. The FOA is primarily interested in communications fiber optics, so this lesson will focus on that application. In addition, you will be introduced to international standards for fiber optic components and systems. And finally, we want to start making you aware of the safety aspects of dealing with fiber optics because it is extremely important to understand what it takes to work safely with fiber.